Passionate and sophisticated, Spain is the largest country in Southern Europe located on Europe’s Iberian Peninsula which includes 17 autonomous regions with diverse geography and cultures. Its capital city, Madrid, is home to the Royal Palace and Prado museum, housing works of European masters. Three main climatic zones dominate the country. The Mediterranean climate is characterized by warm/hot and dry summers while the Semi-Arid climate is predominant in the southerneastern quarter and the Oceanic climate is located in the northern quarter. Excess baggage, meals not included in attached itinerary, all items of a personal nature such as laundry, cleaning, telephone expenses, beverages including tea and coffee (except at breakfast), wines, liquors, soft drinks, etc. and TIPS FOR THE MOTORCOACH DRIVER, TOUR DIRECTOR, AND LOCAL GUIDES. Tips for local guides are not included and must be paid while on tour. Tips for the motorcoach driver and tour director can be added for the entire group at your request. 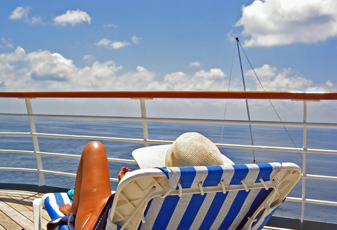 If the services included in the vacation cannot be supplied or there are changes in an itinerary for reasons beyond the control of Sojourn Travel Consultants, Inc. (the Company), depending on the circumstance, the Company will take reasonable action to arrange for the provision of comparable services. Any resulting additional expense will be the responsibility of vacation participants, and any resulting savings will be refunded by the Company to vacation participants.